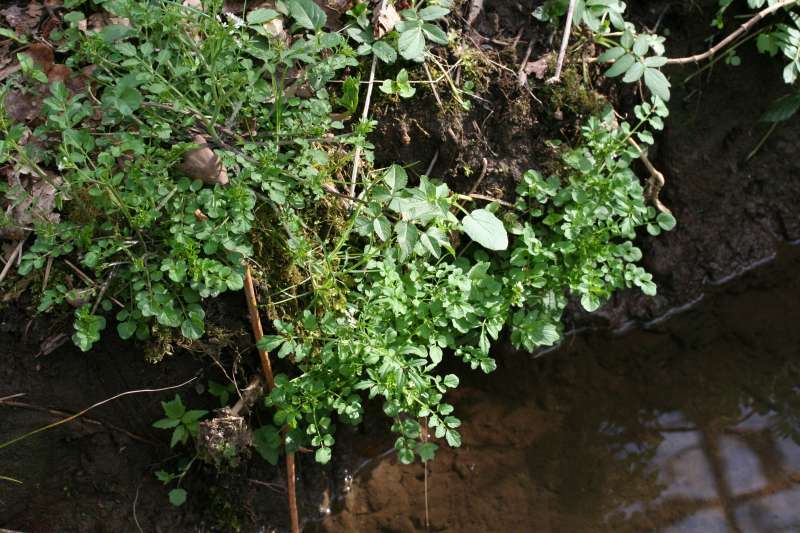 This is one of the cardamine (bittercress) group of plants which possess interesting flavours. In fact the flavour would be quite a good way of differentiating the members of the group. 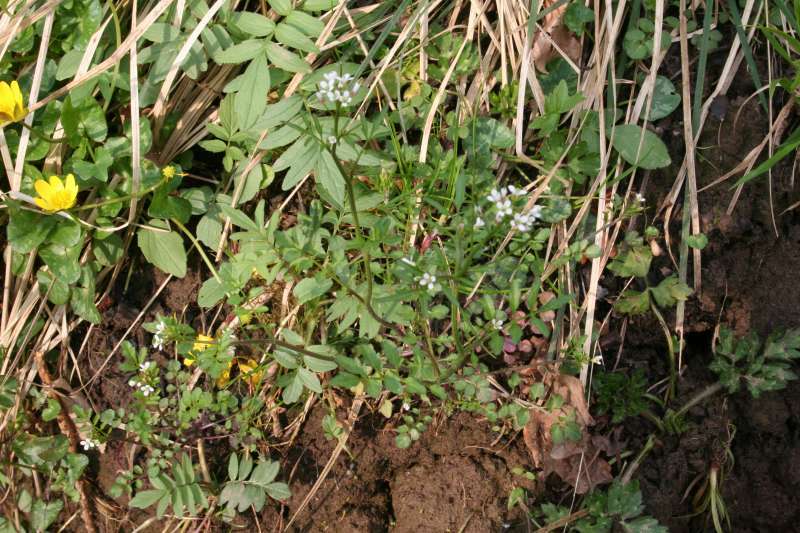 The photographs below were taken 11th and 13th April 2009 in Forest of Dean where the plant is quite common. 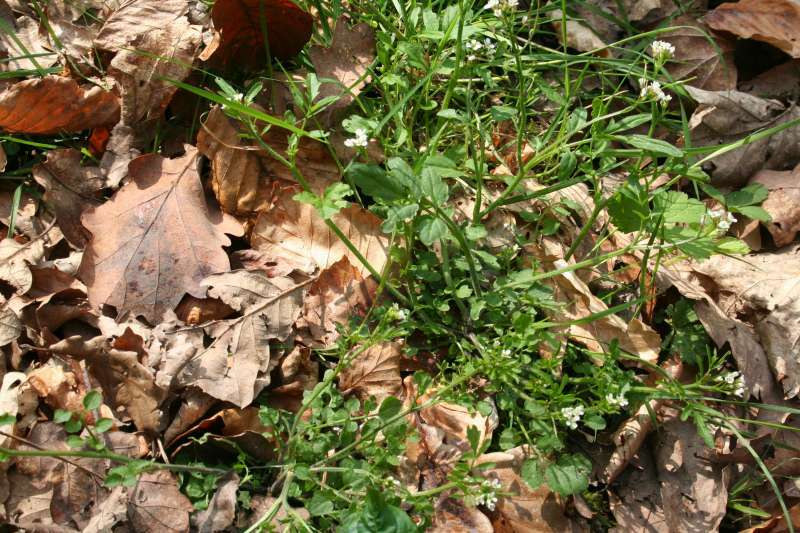 It is called Wood bittercress because it tends to grow in woods, mostly in damp places. Its other name - 'flexuosa' means wavy - is because the flower stems are not straight. Best seen in photograph 3. 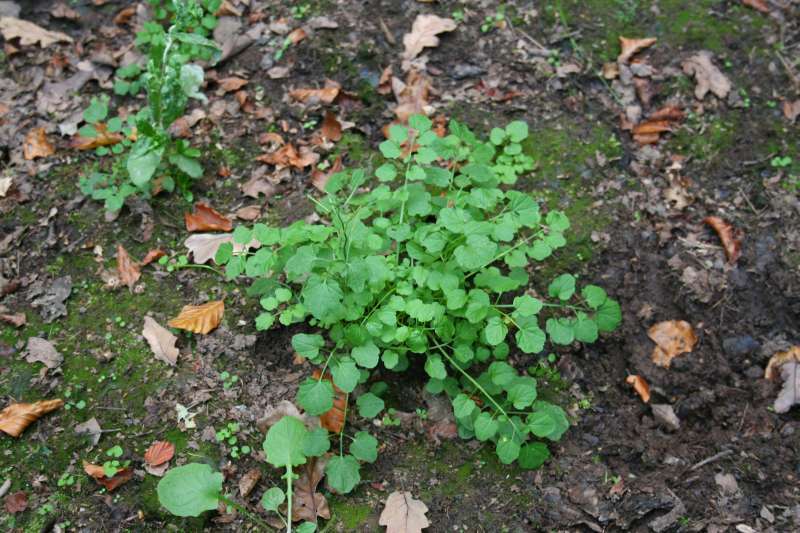 It is in fact not bitter but definitely 'cress': flavour is very similar to hairy bittercress - Cardamine hirsuta, but it's a slightly larger plant. Both this and hairy bittercress are well worth adding to salads. It's a tasty leaf which may be gatherable in reasonable quantity and is available most of the year in suitable locations. walk to St Anthony's Well from Green Bottom, photo 4. Page first published Sunday the 14th of June, 2009.